I am going to say the most Irish thing ever, but have we all noticed the grand old stretch in evenings? Signalling that we are coming out of winter and heading into spring, the longer days will give our mood a boost helping our melatonin levels rise and thus providing us with a little more pep in our step. It is finally time to forward think past these last days of winter, and just like we might consider switching up our wardrobes, we should also think about a change in our foundation. After months of dry artificial heat juxtaposed against freezing cold outdoor temperatures, our skins are calling out for a change. While it is time to ditch your heavy coverage and embrace a lighter and more fresh-faced look, not everyone’s skin is entirely ready to embrace the no-makeup makeup trend. 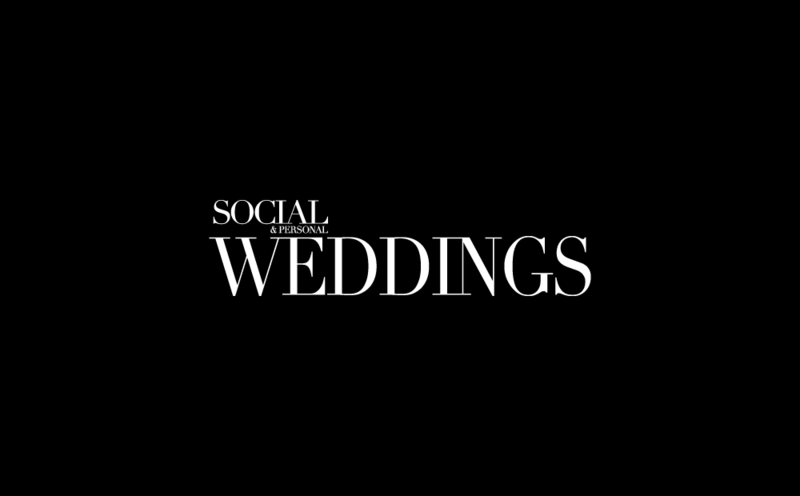 Skin that is winter-weary might need a little more everything, and on your wedding day, you'll want to be looking your absolute best. I've rounded up my pick of foundations that will give glow and coverage without a heavy, made-up finish. If you can't go bare-faced, then lets fake it with aplomb! 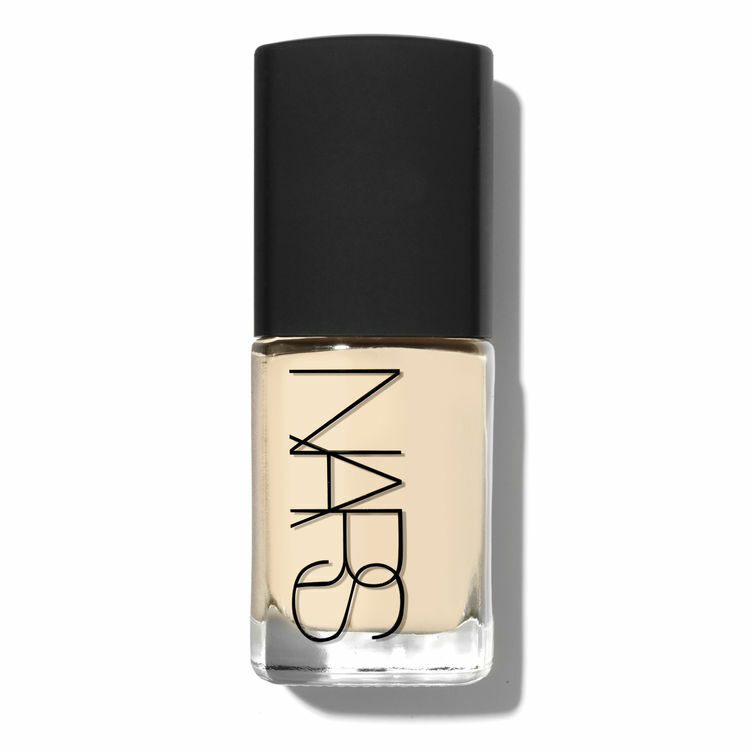 A real beauty icon, Nars Sheer Glow Foundation is one of the best know dewy-finish foundations on the market today. Giving a buildable coverage for a picture-perfect finish each time, it is suitable for most skin types (Those with oily skin should perhaps give this one a miss!). Best applied using fingers as the heat of the body will work the formula into the skin for a natural looking finish. Antioxidant-rich, the high levels of vitamin C protect against free radicals for a luminous complexion. With really great staying power, this foundation will take you from morning to night with few, if any, touch ups. While some might see the lack of an SPF as a drawback, I think it is worth noting the benefits of this when you are going to be photographed. No SPF means no flashback, and that means no Ghostface. Flashback washes out the colour and makes your complexion looks powdery and 'ghost-like'. Avoiding flashback is very important for your big day. World-renowned for their plant-based skincare, more recently Clarins are making waves with their makeup range. Reformulating old favourites and launching some fantastic new products, the results have been impressive. Their Skin Illusion Foundation is an example of how they have taken an old favourite and made it even better. They have adapted it for a more savvy market, packing it full of even more skincare benefits - Clains is all about plant-based skincare, after all! This foundation is for those who want a natural base with not too much glow; virtually weightless, this foundation is for those who hate heavy makeup and are looking for sheer coverage with a beautiful silky feel. 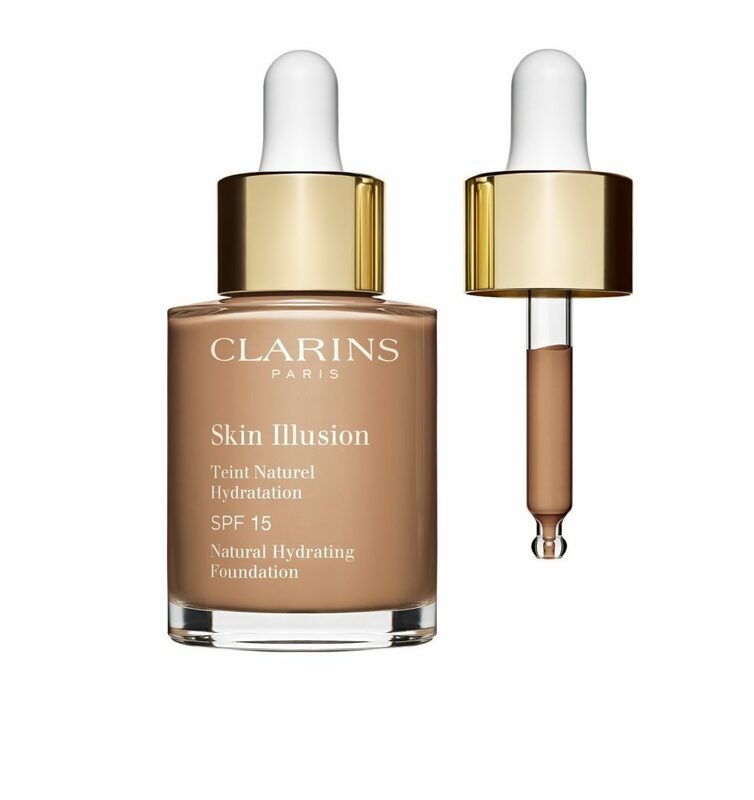 Remember, Clarins is all about skincare, and their foundation is no different, it delivers hydration to thirsty skin for a flawless, radiant finish. The formula is wet (Clarins describe that as serum-like) but does not apply wet. Instead, it makes skin look plumped and youthful, dewy, not damp. This foundation can be built to medium coverage, blending into the skin for a second skin feel. Ideal for day-to-day wear, it gives skin an instant pick-me-up. 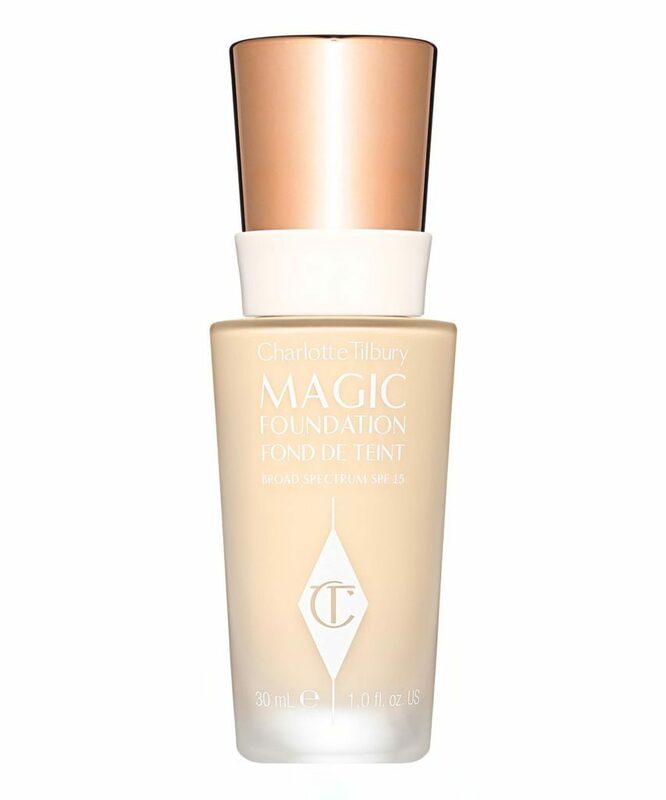 Everything Charlotte Tilbury touches gives a lit from within effect, and her Magic Foundation is no different. Formulated with hyaluronic acid spheres suspended in the formula, its hydrates skin all day long, giving a Victoria's Secret model-esque radiance that is almost ethereal. A medium-to-full coverage foundation it has a demi-matte finish that smoothes out pores and evens skin tone for a flawless look. Giving a heavier coverage than some of the other foundations listed, this is for those who like a more made up look but still want their foundation to feel lightweight on the skin. Also suitable for those with sensitive skin as it is both alcohol and fragrance-free. Super lightweight, this compact gives a natural looking finish; your skin but better, and contains La Mer's signature Miracle Broth for added skin-saving benefits. 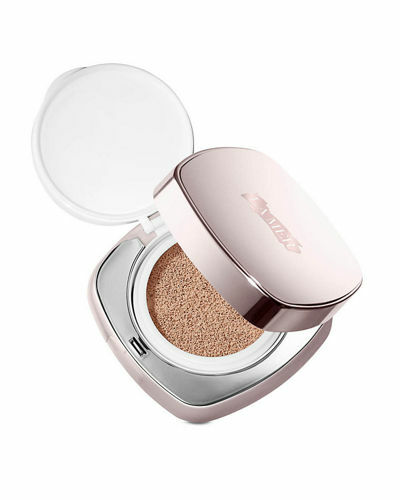 It has buildable coverage and can be applied using fingertips, the sponge provided or a brush - each giving a different finish depending on whether you want to spot correct areas of your face, give yourself an all-over sheer-coverage or are looking for something more full on - the formula allows all three to be achieved. It has been my go-to foundation for the last number of weeks, and it transforms my lacklustre skin from dull and drab to glowy and fab, and who can argue with the power of Miracle Broth? A splurge purchase but worth every penny. Its size makes it ideal to pop in your handbag and will provide weightless touchups throughout the day. Treat yo self!